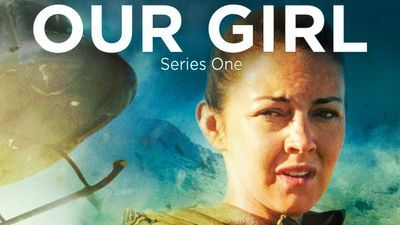 Here's where to watch every episode of Our Girl season 1. Mouseover or tap an episode to see where to stream it. Click or tap the play icon to stream it on the best available service. Time Sep 21, 2014 A female army medic struggles to prove herself while on assignment in Afghanistan. Feelings Sep 28, 2014 Molly's friendship with a little Afghan girl has consequences when she gets too close. Changes Oct 5, 2014 Back in the UK on rest leave, Molly is shocked when Smurf makes a surprise declaration. Love Oct 12, 2014 The deployment is nearly over when Molly becomes entangled in a terrifying mission. Heroes Oct 19, 2014 As she returns home from Afghanistan, difficult questions rain down upon Molly Dawes.